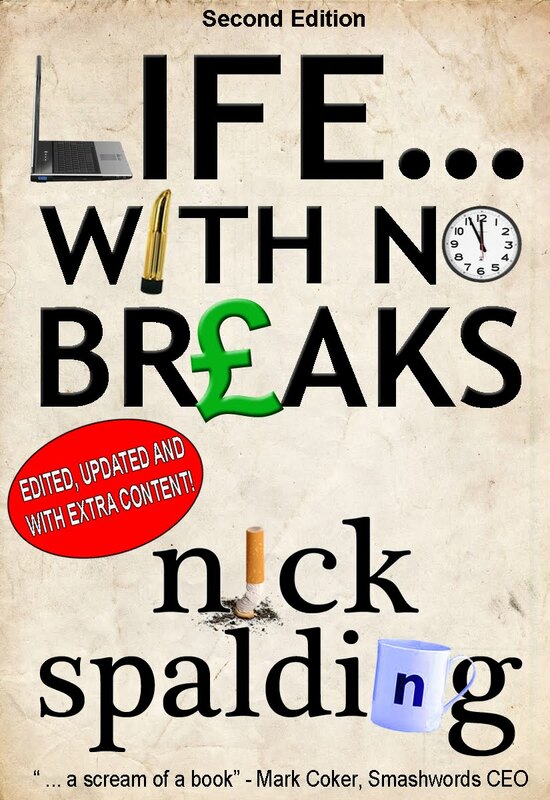 Life … With No Breaks - Second Edition by Nick Spalding. Updated & edited to a professional standard. "I'm Nick Spalding and I thought I'd try to write a book in 24 hours. Turns out that’s impossible, It took me 30. Read about how (and why) I did it … "
Join Nick as he wends his merry way through an odyssey of non-stop writing, covering a variety of subjects in a selection of anecdotes, asides and humorous stories ... dredged up from a brain functioning on caffeine, nicotine and the occasional chocolate biscuit. After you've read Life...With No Breaks, there's a very good chance you may never look at the world again the same way! This one's on my list to must-read-and-review. I love this type of story. I tried to tag your UK version this morning--I didn't see any tags out there yet!! I'm not sure how well the tagging works across the pond!